This page lists links to a variety of GB or GB-related displays that we have noted in other places around the Web, either on sites specifically created to show exhibits or as one-off presentations by the exhibitor. If you know of any others, or discover that one of these is no longer available (an occupational hazard with web links, unfortunately! ), please let the know. Detained for Postage Notices of the British Post Office 1790-c1875 32 Ken Snelson Philatelic Specialists Soc. Underpaid International Mail - GPU to WWI, Out of, Into and Through Great Britain 80 Ken Snelson Philatelic Specialists Soc. UK Taxe Marks and their Offices of Use in the Centimes Era 80 Ken Snelson Philatelic Specialists Soc. London Cancels During the Victorian Period 80 anon Philatelic Specialists Soc. 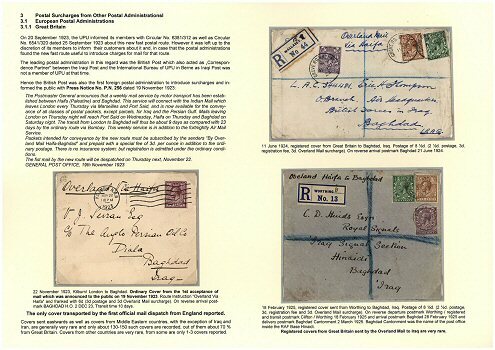 UK Postage Due Airmail to WWII By Empire Services 54 Ken Snelson Philatelic Specialists Soc.